I’ve written about glass, as in lenses, for years now. But I’ve never looked into the history of glass as just a substance, because, well, who cared? When I accidentally did some reading about early glass, though, I was rather amazed at just how important it was. So I thought I’d write about the history of glass from around the beginning of time, up until when we started using it to make awesome lenses. A strong argument can be made that the most important advances humanity ever made are fire, stone tools, the wheel, metalworking, the domestication of animals, and glass production. I know what you’re thinking and I agree; the wheel isn’t as important as the other 5. If you’re interested, read along and I’ll show you why making glass, drinking wine, and having bad vision are the three pillars that led to the development of science and Western civilization. Even if you don’t think you’re interested, read along. Glass is actually way more awesome than you think. Water, for example, has a melting temperature of 0 degrees C. At -1 degree it’s solid ice, at +1 degree it’s liquid water. Glass has a melting temperature, but it also has a transition temperature. Between the transition and melting temperatures glass is not solid, but not quite liquid either. For example, common bottle glass transitions at 573 degrees C, but doesn’t completely melt until 1,040 degrees C. Between those temperatures the glass can be molded, carved, shaped, or blown. Chemically, glass is mostly silica (commonly found in sand and quartz) melted together with some other stuff. You can actually make glass from pure silica, but it’s difficult to do, requiring extremely high temperatures. The ‘other stuff’ lowers the melting point to reasonable temperatures and makes the glass more moldable and malleable. It also makes glass more stable and less likely to deteriorate over time. It’s the other stuff that also makes glass interesting and that creates the different types of glass. Making minor changes in the other stuff changes the glass’ color, clarity, hardness, refraction, and makes it more brittle or more flexible. So the chemical history of glass is basically the history of changing the other stuff. Why that other stuff got changed, and the effects those changes had is basically the story of Western civilization. OK, I’m exaggerating little; but just a little. Fulgurites are tubes of natural glass that occur when lightning strikes sand. For those of you who suffered, as I did, through the movie “Sweet Home, Alabama” let me assure you that fulgurites don’t look like the pretty glass sculptures that dude sold in the movie. (Those were actually blown glass made just for the movie.) Real fulgurites look like this. They aren’t really pretty and aren’t useful for much that I could find. Credit Mario Hendriks, via GNU free documentation license. There is also Libyan Desert Glass and tektites, which were probably formed by meteor impacts or near impacts. These were treated as rare gemstones and worn as ornamentation back in ancient times. But it’s pretty rare stuff. Nobody really knows how glassmaking first developed, or if it developed more than once. It almost certainly originated in the Middle East before 2,000 B. C. It might have developed from making pottery glazes or as a byproduct of metal smelting — the slag left over from metal smelting often has glass-like qualities. The Egyptians made a glass-like glaze called faience but most evidence suggests they learned true glassmaking from Middle Eastern trading partners or vassal states. Glass, as mentioned earlier, is around 70% silica, which is often obtained from sand. It also requires a flux, an ingredient that is added to lower the melting temperature and make the glass easier to work. A lot of different substances can be used as the flux in glassmaking. Sodium carbonate (soda) was the most common flux in early times (and still is today) although potassium carbonate (potash, literally from the ashes of certain plants stirred with water in a pot) can be used, too. Glass made from just silica and a carbonate is soluble (meaning it can slowly dissolve in water) so a stabilizer, usually calcium is also required. Calcium could be obtained by limestone or sea shells to the glass mix, but if sand was used as the source of silica it often contained enough calcium already. The earliest glass objects tend to be jewelry, often in the form of glass beads. Soon small glass bottles and vases were made by ‘core forming’ – molding the internal shape of the vessel you wanted out of clay on the end of a stick, coating it with molten glass, then removing the clay core after the glass had cooled. While the glass was still hot and malleable it could be molded and decorated. Glass could also be placed over a clay mold to make a small dish or cup. But whether used to make jewelry, small bottles, or cups, though, glass objects were luxury items owned only by the royalty and rich. All of the glass made at this time was colored and not very transparent. Even if nothing was added on purpose impurities in the raw materials would cause a lot of color. It probably didn’t take long for people to figure out that specific additives could create specific colors. Adding cobalt or copper gave various shades of blue; iron gave yellow and orange, and chromium green, for example. Early glassmakers also discovered adding certain substances like Antimony, Manganese or Selenium, would bind to the other contaminants and result in clear glass. They didn’t care for clear glass very much, though, and made it only rarely. Egyption core formed glass jar. The Allaire Collection of Glass. The Victoria and Albert Museum. Around 100 BC, in Syria or Iraq, the first huge advance in glassmaking, glass blowing, occurred. This technique required a more liquid glass and therefore, higher temperatures from special ovens, but had huge advantages. Much thinner and larger objects could be made, as well as more complex shapes. Jars and bottles could be produced far faster by blowing than with core forming, which allowed glass implements to become affordable. Once glass blowing was discovered glass caught on pretty quickly. Archeologists have found very ancient glass workshops throughout Egyptian and Mesopotamian ruins. Glass was also being made in India, China, and even Japan by 500 AD. It was the Romans, though, who massively expanded the use of glass, turning glass production into an efficient industry. Raw glass was manufactured in large centralized workshops where furnaces turned out glass blocks weighing as much as 8 tons. The large glass slabs were then broken or cut into pieces that went to smaller shops where they were remelted and formed into finished objects. It’s interesting that Roman-era glass from all over Europe and the Middle East has a very similar chemical composition. The reason for both the large workshops and similar chemical composition is quite logical. The Romans used Natron, which is found in dried lake beds, as their source of sodium carbonate flux. They used beach sand that contained both lime and silica as the base of their glass. It was logical to make their glass in a few large centers located close to a suitable source of sand, near lots of firewood, and close to a source of natron (the largest source was in Egypt, although there may have been others). For this reason, Roman glass throughout the Empire has pretty similar chemical composition. Once Roman mass production made glass affordable it became more than just ornamentation. A piece of nice glassware could be purchased for one copper coin. Glass was used for dishes, pitchers, bottles, jars, and cups in most households. The Romans used glass tubes as an alternative to pipes, used bits of colored glass to make mosaics, and even used glass as flooring. Roman glass bowl auctioned at Christie’s. Unlike previous glass users, the Romans prized clear glass far more than colored glass. The reason, according to most authors, is that the Romans were voracious wine drinkers and the world’s first wine snobs. Clear glass cups and decanters were a status symbol used to show the color and quality of wine being served by wealthy and well-to-do Romans. Common people drank inferior wine out of common pottery mugs. Roman Glassware. JC.Musée Saint-Remi à Reims, Marne, France. Having clear glass also allowed the development of glass mirrors and window panes. These weren’t particularly popular in Roman times because the glass used for them was cast or rolled into flat sheets – the technology of the time left the sheets with irregular surfaces. Cast window glass was used in the colder climates, though, and has been found in ruins of Roman Britain and Gaul. Roman glassmakers raised the art and science of glassmaking to a level that wouldn’t be seen again for centuries. The Lycurgus cup is an amazing example of Roman glassmaking. The cup was created as thick glass, then the relief was carved out of its surface leaving a thin glass cup that was then set in gold. The remarkable thing about the cup, though, is the glass it is made from. The glass contains tiny metallic particles and changes color depending on whether it is lit from without or within and whether it contains a beverage. This effect (called dichroism) wasn’t recreated until modern times. Glass never really caught on in India, China, or Japan where its use was largely limited to colored glass for imitating precious stones. This is probably the result of well-established porcelain industries. These areas considered glass cups and bowls inferior to fine porcelain, especially for drinking hot beverages like tea. The fall of the Western Roman Empire dramatically reduced glassmaking to a tiny trickle in most of Europe. Glassmaking continued in the Byzantine Empire until its fall in 1200, and in the Islamic Middle East until the Mongol invasions and the sacking of Damascus around 1400. After that time, very little glass was made in the East. When the Western Roman Empire fell, some glassmaking survived in Northern Europe and Italy. Since Natron could no longer be obtained, plant ashes were used as a source of flux. The Italian area used the ashes of sea plants, which yielded mostly soda, so they continued to make soda-lime glass. It was not up to the standards of Roman glass and many special techniques were lost, but it was glass. The area around what is now Venice was actually part of the Byzantine Empire after the fall of Rome, and had a somewhat higher level of technology, including glassmaking, than most of Europe. In Northern Europe, wood ashes were also used as a substitute for Natron, but inland wood ashes are mostly potash, not soda. (In other words, they contain mostly potassium carbonates, rather than sodium carbonates.). This potash-lime glass is known as Forest Glass. In the early middle ages, Forest Glass contained a lot of impurities. It wasn’t very transparent, often having a dark green or brown color, and was of poor quality. However, over time the Northern European glasshouses improved their product and by the 8th century they were making reasonable quality glass. Later versions of potash-lime glass actually had some advantages over soda-lime glass: it melted at much lower temperatures and was easier to work, yet it was harder than soda-lime glass when solid. It was, however, heavier than soda-lime glass and not as clear. Early Forest Glass bottle. Image from Museum of London. Venice, as mentioned earlier, already had a head start in glassmaking compared to the rest of Europe. During the Crusades, Venice obtained more glassmaking knowledge and techniques from the Middle East. This continued as glass craftsman fled from the sack of Constantinople in 1204. Later a treaty between Venice and Syria specifically sent Syrian craftsman and raw materials for glass manufacturing to Venice. By 1200 AD, Venice was making the most, and the best, glass in the world. Much of the early wealth of Venice came from this glass trade and they protected their knowledge fiercely. The glassmaking industry was placed under the authority of the Council of Ten, which maintained security for the Republic of Venice. Partly because glass furnaces had the nasty habit of catching the city on fire, and partly because Venice wanted to control all of the secrets of glassmaking. All glass factories were moved to the islands of Murano in 1298, and remain there to this day. Glassmakers were required to live and work on the island. In Venice, you couldn’t get voted off of the island; once you worked in glassmaking on Murano, you could not leave and received the death penalty if you tried. There was even a death penalty for exporting scrap glass. Glassmakers were also rewarded, though, being all made ‘burghers’, the official middle class, of Venice. Glassmakers could wear swords, were immune from certain types of prosecution, and daughters of glassmakers, but no other tradesman, could marry Nobility. The glassmakers of Venice began purifying their components and made glass more scientifically and with greater consistency. Instead of using sand (which contains a lot of impurities) they often used crushed quartz. They used only certain plant ashes for their soda and purified the ash by filtering and other methods, eliminating contaminants. They sometimes added small amounts of lead to improve the clarity and stability. During this time, the glassmakers of Venice developed a glass called Cristallo, which was clear, colorless, and free of flaws. It was also very malleable and could be made into much thinner objects than had been possible before, yet still remained very strong. This new glass was different from other glasses in that it contained significant amounts of both soda and potash, which gave it several advantages. It was easy to work at fairly low temperatures. It was resistant to chemical corrosion and change. And it was much more resistant to sudden temperature change than older glasses. The Venetian glassmakers may have largely been motivated to create crystal clear goblets for the nobility to show off their fine wine, but others found many new uses for their glass. By 1200, there was once again excellent, clear glass in the world, as long as you define the world as Europe and the Mediterranean areas. A lot of other things started happening about that time and in that location. I’m not saying glass caused all of them, but I can make a strong argument that without glass, much of the Renaissance and Scientific Revolution would never have happened. Probably the first critical step in that direction occurred right before 1300. Reading stones, large pieces of magnifying rock crystal (and later glass) that could be placed over a page or print had existed for centuries. But in Northern Italy, not too far from Venice, someone (and there are huge arguments about exactly who, where, and when) put convex lenses in a frame and invented spectacles, or reading glasses as we call them today. They were pretty crude things; basically two magnifying glasses joined at the center by a rivet. One had to hold them in place with one hand while reading. You may be thinking, big deal, but the importance of glasses really can’t be overstated. Learned men were largely unable to read or write after their late 40s until the invention of glasses. Suddenly these men (women didn’t really read much in those days) could continue to read and write for another 20 years, which roughly doubled the time they could learn and pass on knowledge. Perhaps more importantly, they caused the rapid spread of lens makers throughout Europe and the techniques of making lenses from glass became common. Eyeglasses were in common use throughout Europe by 1400 and every city of reasonable size had a lens maker or two. Having a friendly neighborhood lens maker was really important to guys like Newton and Gallileo and there would have been no lens makers if it wasn’t for spectacles. Despite all their efforts, the Venetians couldn’t keep their secrets forever. They attempted to control the making of eyeglass lenses as they had other forms of glass. But there were already makers of Forest glass scattered throughout Europe. Eventually, they learned many of the Venetian’s techniques and combined them with their own. Good glass was soon being produced throughout Europe and England. In 1608, another Dutch lens maker, Lippershey, put different types of lenses in a tube and invented the telescope. In a good demonstration of how widespread the glass industry now was, Galileo simply heard about the Dutch telescope, designed one himself without ever seeing it, and made his own using fine Italian glass lenses in 1609. Kepler did the same thing in Germany in 1611. As an aside, Lippershey probably stole the telescope idea from the Jansens who were neighbors of his. If so, it was Leppershey who originated the most profitable tradition in optics, the stealing of lens designs. This technique quickly spread to England where John Dolland improved the technique by stealing an idea and then patenting it and was later perfected by Voigtlander in Germany, who stole ideas on a mass-production scale. There was more to glass than just lenses, though. Strong, clear, glass began replacing the crude metal and pottery apparatus used for stills. Glass was now cheaper than metal, far easier to work with, and gave the operator the ability to actually watch the process. Glass was easy to reheat and bend into almost any shape and unlike metals and pottery, it didn’t react with the substances being distilled. A retort, for example, is basically a simple one-piece still. Larger and more efficient glass stills soon became widespread. A glass retort. The glass bulb is heated, the evaporating liquid then recondenses in the long tube. There is a nice symmetry to the idea that clear glass, originally developed for drinking wine, now could be used to distil wine into brandy and more potent substances. The potent substances could be distilled again to give pure alcohol. Imagine what an educated monk (remember, monks made a lot of the wine back in these days, and wine was a Holy Drink) thought when he found he could distil wine into pure alcohol. The pure alcohol looked just like the clearest water but burned with a bright flame, came from wine which was God’s Holy beverage, and caused a near-religious euphoria when drank in even small quantities. The monks thought they had liberated the soul or spirit of the wine and called pure alcohol aqua vitae (Latin for ‘the water of life’). Aqua vitae led to names like aquavit and vodka which we still use today. Not surprisingly, some of the monks took their research with aqua vitae to extremes and eventually the Benedictines had to pass rules forbidding its use in the Monasteries. But there was a lot more to it than just alcohol. Strong acids could only be created and purified by distilling in glass containers since the acids reacted with metals. With pure alcohol and strong acids and bases to use as reagents, alchemy slowly developed into the science of chemistry. Some of this chemistry led to further improvements in glass itself, as contaminants could be understood and eliminated and purified substances used as additives. It quickly became obvious that glassware was invaluable for all of this work, from bottles to store chemicals in, to flasks and beakers that allowed them to watch the results of these experiments as they happened. Laboratory glassware, just like most of us used in chemistry lab not so long ago, became available in the early middle ages and want-to-be chemists used it to separate, refine, and purify all kinds of things. With glass tubes and vessels of various shapes and sizes easily made, a number of other advances were possible. Both the thermometer and barometer were developed in Italy in the 1600s and both required long, clear, sturdy glass tubes to function. Neither would have been possible without clear glass. The thermometer wasn’t just useful to decide if it was hot outside, it was used by chemists to help determine when they’d obtained a pure substance in their refinements and for a number of other purposes. Thermometers and barometers led to the ‘discovery’ of the atmosphere, to basic weather prediction, and to safer shipping. Early barometers and thermometers. Musee des Arts et Metiers, Paris. Glass mirrors aren’t so much an invention as a refinement. Polished metal and crude glass mirrors have existed since ancient times. It was only during the 1400s, though, that smooth glass mirrors coated with metal were developed and the 1500s before they were perfected. Far from just letting people check their hair and makeup, good mirrors had a lot of scientific use. 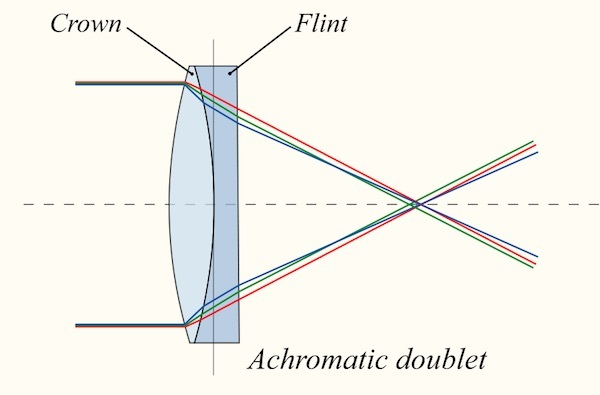 By the 1660s Newton and then Cassegrain created reflecting telescopes using curved mirrors instead of lenses. The octant and later the sextant used mirrored glass surfaces to allow accurate navigation at sea. Before they were developed in the 1700s, determining latitude was highly inaccurate. I’m not trying to say the Scientific Revolution occurred because of glass, but a strong argument can be made that it couldn’t have occurred without it. Any list of the most important advances that took place during the scientific revolution include lenses, the thermometer, barometer, sextant, microscope, and telescope. None of these could have been developed without glass. The development of chemistry from alchemy and the distillation of purified chemicals from raw materials required glass. True scientific medicine required microscopes; before them diseases were usually ascribed to evil humors and bad vapors. Astronomy could only advance after astronomers had telescopes. Sailing across oceans with any degree of safety and accuracy required sextants. In two centuries, Europe became the scientific center of the world, and it’s not a coincidence it was the glassmaking center of the world, too. Glass was being used for a lot more than scientific instruments. In the cold climate of Northern Europe and England, glass window panes were in huge demand. Making flat sheets of glass is more difficult, actually, than blowing a pretty goblet. Originally, a glass blower would blow a long cylinder of glass, then cut off the ends, slice down the center, and flatten the cylinder out to form a window pane. French glassblowers developed a quicker method: they would blow a glass bubble and then spin it rapidly, using centrifugal force to flatten the bubble into a disc. The original center of the disc, where it had been attached to the rod, remained raised and smaller squares were cut out and used for windows. The raised patch was called a crown and ordinary window glass became known as Crown Glass, a term we still use today. Crown glass window panes. Public Domain. It was also in the 1600s that more refractive glass, which became so important in lens making, became common. The English were very consciously trying to improve their glass industry. George Ravenscroft hired Italian and Jewish glassmakers, brought them to England and began developing new forms of glass. He began by using flint, rather than sand, as a purer source of silica, but didn’t really make progress until he began adding large quantities of lead to his glass. Even though flint wasn’t really used as the basis for this glass for very long, it continues to be known as flint glass today, although it is also referred to as leaded glass or crystal. Flint glass bends light much more strongly than simple crown glass. In the 1750s, several Englishmen found that combining a lens of flint glass with that of crown glass resulted in an achromatic doublet, a lens group that focused red light and blue light in the same place. John Dollond received the patent for this, numerous others sued him for decades to get the patents voided, and while they were all busy entertaining themselves in this manner, several other gentlemen took the idea and found ways to work around the patent. The soap opera of optical design continued in the patent theft wars of Petzval and Voigtlander and those between Voigtlander and Abbe and Schott. The sport has continued without much change (other than the names of the players) until today. Alan MacFarlane: The Glass Bathyscaphe: How Glass Changed the World. Alan MacFarlane and Gerry Martin: Glass: A World History. University of Chicago Press, 2002. Edward Dillon: Glass. New York, Putnam and Sons, 1907. Freestone, I. C., 2006. Glass production in Late Antiquity and the Early Islamic period: a geochemical perspective. Geomaterials in Cultural Heritage: Geological Society of London. Special publication 257: 201-216. Fascinating! well written! Thank you! Zig, if I wrote it you know there are grammar easter eggs just waiting for you to find them! Thank you, Richard, for a great read and really nice glassblowing examples. I envy you that art! And everyone else, there are some really nice tables in Richard’s link showing the composition variation for different types of glass. Thank you very much. It’s been rather agonizing suspense, but worth every day of it! Before B.C. = before Before Christ. Too much of before, isn’t it? And I assume you have been writing for years [about glass] rather then written. And… waitasec, the grammar-nazi in me recalls seeing some more imperfections, but can’t locate them right now. I always appreciate and learn from your articles and this was very nicely done. I am a retired University Chemistry Professor and taught scientific glassblowing above and beyond my normal teaching load, since it was so unique and fun for my students. I thought you might “enjoy” reading the following…https://chemistry.boisestate.edu/richardbanks/glassblowing/glassblowing.htm, where I describe the structure of glass to a small extent. The hexagonal structure is very common in the chemistry of carbon, silicon and water (as ice…snowflakes are a great example…even liquid water has some hexagons due to a thing called hydrogen bonding). There is an excellent chapter on glass in “How We Got to Now” by Steven Johnson, and glass is also the topic of one of the episodes of the companion TV series, available on PBS (originally BBC). Fascinating, here’s a thumbs up for more history articles! Very much a fan. Thanks everyone for the Latitude and Longitude correction. Since my navigation skills are limited to cursing at the lady who speaks through my GPS, this is way out of my area of expertise! Great write up! I was familiar with bits and pieces previously but I really like the way you approached this narrative. Very enjoyable to read. Sorry, “approx. _longitude_, of course. Then there is also the moon for a clock, so approximate latitude can be measured with a sextant, which brings us back to the importance of glass. Don’t let’s forget Joshua Slocum sailing around the world with an old alarm clock for a chronometer. If I remember rightly he could judge the longitude to within 10 (?) nautical miles. I think you’re right. The Longitude Problem was solved by John Harrison who built the world’s first maritime chronometers in the 18th century. The history of the chronometer is a fascinating story in itself, greatly covered in Dava Sobel’s bestseller book “Longitude: The True Story of a Lone Genius Who Solved the Greatest Scientific Problem of His Time” and in a very good mini-series “Longitude (2000)” with Michael Gambon and Jeremy Irons. It’s too bad that story doesn’t involve glass, optics, and cameras in any significant manner (except for the Jupiter and Lunar methods of the competitors), because I’d love to see Roger’s take on it. Roger, as much as I love your Olaf articles, I must admit I have from time to time really missed your history ones. Thank you for this! Thank you. I really missed these historical articles. I really enjoyed this summing-up! Sextant > latitude , chronometer > longitude . Not about photography, but this guy is a novel part of glass history…and also completely nuts. Thank you Roger for another fascinating article. Makes a nice change from all the lens tests you’ve been doing lately (that said, I’m sure a lot of people are waiting for you to test a recently announced collection of lenses when they get released). Far from just letting people do check their hair and makeup, good mirrors had a lot of scientific use. Only one of “do” or “check” is needed. Laboratory glassware, just like most of us used in chemistry lab not so long ago, became available in the early middle ages and want-to-be chemists used it to separate, refine, and purify all kinds of things. Should “just like most of us used in chemistry lab not so long ago” be “just like most equipment used in chemistry labs not so long ago”? It doesn’t make any sense (to me anyway) the way it’s currently written. Alan, I know young people laugh at the idea, but I’m a great example. Everything I’ve written and all the testing I’ve done for the last 10 years wouldn’t have been possible without my “spectacles”. Thank you, Dan. One of my sources had said ‘whiskey’ was a derivative of ‘aqua vitae’ but I didn’t understand how until your comment! I know vodka is also a derivative word, but I bet there are a bunch more. Add to the list: “uisge beatha”, Scots gaelic for “water of life”, eventually anglicised to……. Very nice article! It’s been proposed that the West swept ahead of China because, as alluded to by you, the scholars and scientists in the West were able to work into old age because of the use of spectacles whereas the Chinese did not develop lenses. Ah, as the editor, that one was my bad. I have a tendency to skip over the captions in images. Thanks for the find! Thank you, Dave! Crowd-source proofreading rides again!! Recent BBC podcast or glass… they don’t get into modern optical glass though. I think it’s Libyan ‘Desert’ glass — not ‘Dessert’. I wouldn’t like to eat the stuff anyway! Enjoyable post — as always!